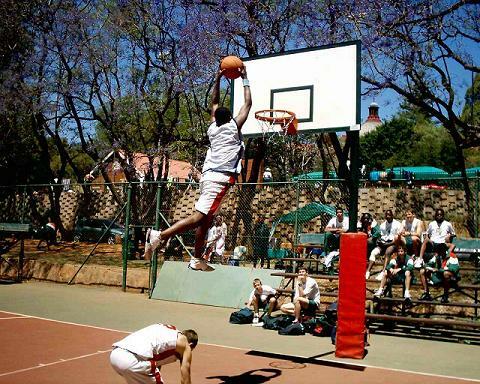 Back in the days, If you were not lucky enough to see Chris Kaniki flying here is the proof. And he did it over someone. Where did you get this pic!? It is sick!! Wow I played with the boy many times but didn’t know he could get that high!! The good old days when St. Albans and Boys High were the only teams that had all round players in a team in Gauteng. St Albans and Boys High were the only teams? Jokes aside, there were a couple of good teams back in the hey-day. Anyone remember Sharks?